Following the 1979 Iranian Revolution, Saddam Hussein was worried that Iraq’s Shia majority would rebel against the government dominated by Sunnis. To distract Iraqis from internal problems and to take advantage of Iran’s post-revolutionary chaos, Hussein started to prepare for a war, hoping that it would help him make Iraq the dominant Persian Gulf state instead of Iran. Iraq launched an invasion on Iran without a formal declaration of war on September 22, 1980. Despite of support from most Arab countries, the Soviet Union, United States and France, Iraq made limited progress, and Iran managed to regain almost all lost territory by June 1982. For the next six years, the war was mostly static. In 1988, Iraq launched Tawakalna ala Allah (Trust in God), a series of five offensive operations involving large artillery barrages and chemical warfare. Having been worn out by continuous war, the Iranians couldn’t resist the Iraqi offensive and had to accept the ceasefire. The UN Security Council Resolution 598 which called for an end to the fighting went into effect on August 8, 1988. 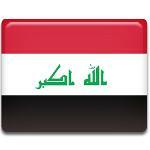 This day is now celebrated in Iraq as Ceasefire Day.